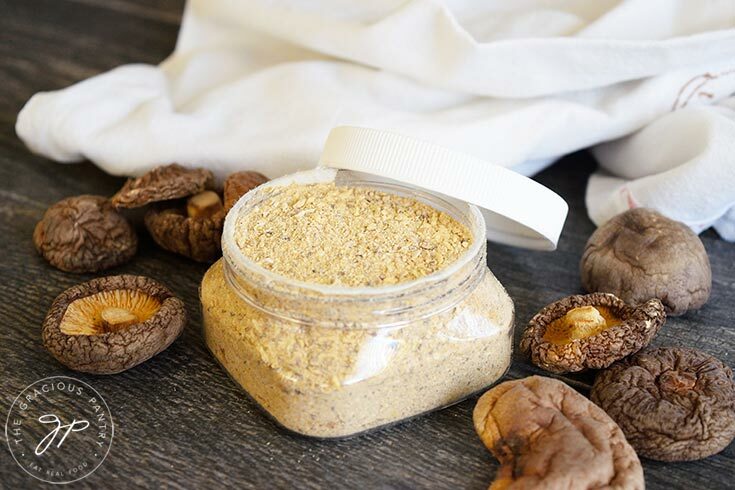 This clean eating mushroom soup mix is perfect for intensifying the flavor of any mushroom based soup or dish. A while back, I graduated from a plant-based culinary school. It was an online program and it was incredibly challenging. I learned a lot. One of my favorite takeaways was mushroom powder. 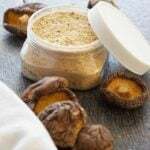 Simply putting some dried mushrooms through a spice grinder until you have a nice, fine powder is a fabulous way to really bring out the mushroomy flavor of any dish that is focused on mushrooms. It’s truly wonderful! One of the things I learned is that this can make a very simple mushroom soup mix if combined with just a few other ingredients. Add this to some broth, toss in some fresh mushrooms and you’ve got yourself a very nice, basic soup base with some fine mushroom flavor. I use about 1 tbsp. of this mix for every 3 to 4 cups of broth. But you can adjust this to your liking by adding more broth or more soup mix. Easy! I’ll be sharing a soup recipe that uses this mix very soon just in case you need an idea for ways to use this. But truly, any dish that needs a nice, mushroom flavor will benefit from the addition of some of this powder. Note that if you don’t have a spice grinder, you can also do this in a food processor, or even a high-powered blender. The resulting powder may not be quite as smooth, but it’ll still taste and work the same. 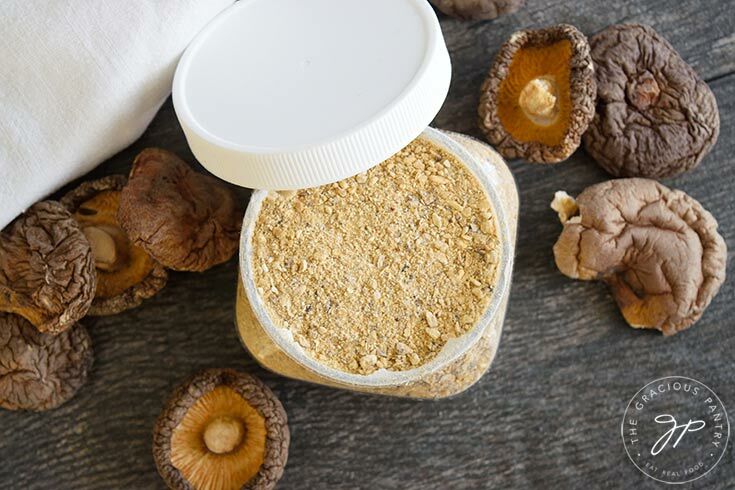 A wonderful, mushroomy dry mix that will enhance the mushroom flavor of any dish you add it to! 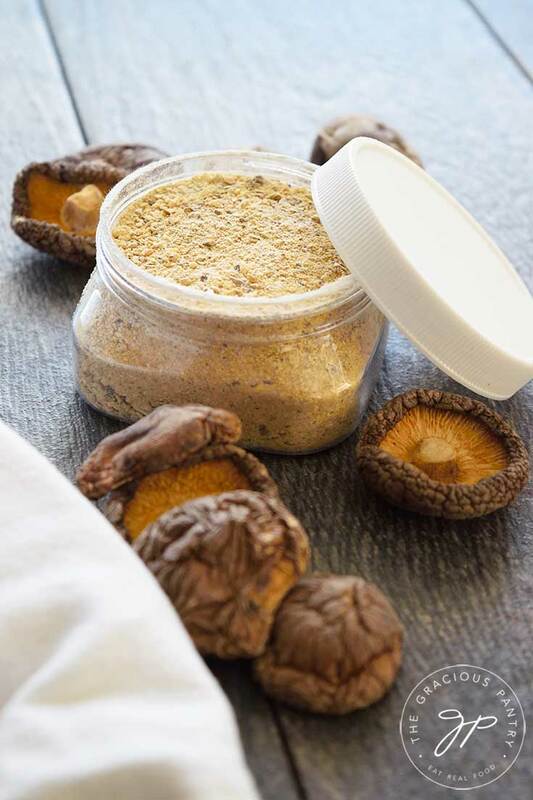 Place the mushrooms in a spice grinder and grind them until they are a fine powder. Combine in a bowl with the remaining ingredients and use as needed.